PLEASE CHECK OUT OUR "VIDEOS" PAGE TO SEE/HEAR US IN ACTION! As performers, we consider one of our strongest suits to be the variety we offer, both in style and instrumentation. 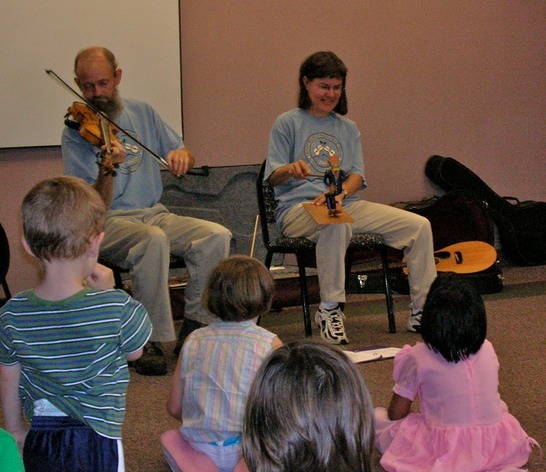 Between the two of us, we play fiddle, guitar, clawhammer banjo, tenor banjo, mandolin, ukelele, penny whistle, recorder, bodhran, concertina, limberjack and feet! 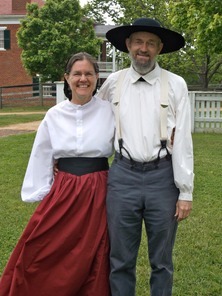 Although much of our music could be described as “folk” or “Americana,” with heavy influences from southern Appalachia and the British Isles, we also enjoy playing swing music and old jazz standards. And we write songs, both serious and humorous. In our concerts, we like to include some history on the instruments and songs, and we encourage questions! More than anything, we love engaging with the audience, both in the stories we tell and through the many opportunities to sing along. Let’s make music together! 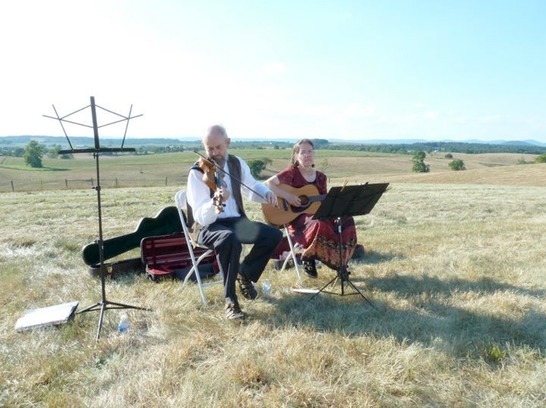 Of course, if you just need background music for your event, we can provide that as well. 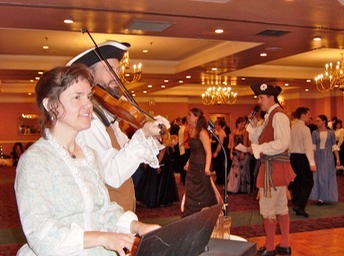 We regularly provide music for contra dances and other private dance events in Virginia and North Carolina, but we have been known to travel as far away as Kentucky, Pennsylvania, and even Denmark! 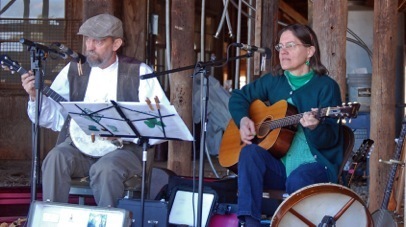 Sometimes we play as a duo, with Marcia adding a bit of back-up piano to our already extensive menagerie of instruments. And often we are joined by our son, Keenan, who extends the variety even further with his virtuosic talents on clarinet, flute, piano, and various saxophones. 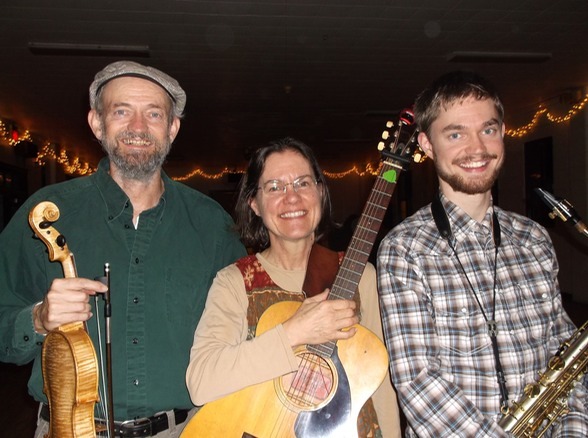 Besides playing for contra dances or square dances, we offer plenty of music for couple-dancing: waltzes, polkas, two-steps, and swing tunes. 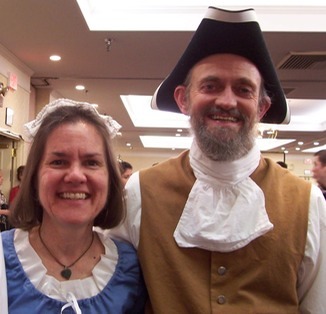 And Marcia loves teaching and calling circle, square, set, and contra dances for beginners. Learn more about that here.